In the PNB fraud case, Vijay Aggarwal, a lawyer for the jeweller, said all transactions with PNB were documented and allegations made by the Central Bureau of Investigation (CBI) were completely wrong. New Delhi: Billionaire jeweller Nirav Modi, one of the prime accused in the country's largest ever bank fraud, denies allegations levelled against him by Punjab National Bank (PNB), his lawyer said today. 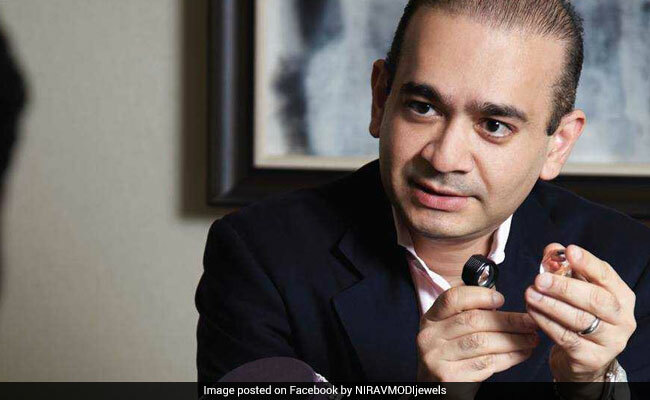 "There is nothing, there is nothing in it," Vijay Aggarwal, a lawyer representing Nirav Modi, told Reuters, referring to the police complaint filed by PNB that alleges that companies linked to the celebrity jeweller and one of his relatives received credit worth nearly $1.8 billion (Rs 11,400 crore) between 2011 and 2017 using false guarantees supplied by two bank officials. Mr Aggarwal, speaking by telephone, declined to comment on where Nirav Modi was. Officials are on the lookout for the jeweller and his family, who police say left the country in January, prior to the case being filed. "Everything is documented," Mr Aggarwal said of Nirav Modi's dealings with PNB, adding that the state-owned bank had regularly levied fees on its dealings with the jeweller's firms. Asked about his legal strategy, Mr Aggarwal said: "Until there is no chargesheet, there is no strategy. When there is a chargesheet, there will be a strategy." According to a police complaint by PNB, two officials at a Mumbai branch of the bank steered fraudulent loans to companies linked to Nirav Modi and entities tied to jewellery retailer Gitanjali Gems, which is led by Nirav Modi's uncle, Mehul Choksi. "They are covering themselves up," Mr Aggarwal said of the complaint. "They want to avoid liability ... that is why they are cooking up this story." Mehul Choksi, who has also left the country, has not commented. Gitanjali, in a stock exchange filing, has denied Mehul Choksi's involvement in the alleged fraud. Five bank officials, including the two at the Mumbai branch, have been arrested. The fraud case has stunned financial markets and it sent PNB shares tumbling for a fifth straight trading day on Tuesday. Shares in PNB, which has shed nearly a third of its market value since disclosing the fraud, were down 3.5 percent in early trading after rating agency Fitch placed the bank on negative watch. Later, Moody's also placed the bank's ratings under review for a downgrade. Separately, in a letter to PNB officials, Nirav Modi stated that his companies owe the bank under 50 billion rupees ($775.25 million), much lower than the amount alleged by the bank. He also said PNB has jeopardised its chances of recovering the sums owed by going public with its allegations. Both companies are controlled by Nirav Modi. The fraud allegedly involves at least three firms controlled by Nirav Modi and others by Mehul Choksi.